The Mayor of London Boris Johnson has sought to address concerns about the safety of cyclists with a pledge to halve the number of people killed or seriously injured (KSI) on London’s roads by 2020 compared to the Government base line. Fresh TfL stats for 2014 show the KSI number is at the lowest level since records began. Meeting the new target would mean a reduction of more than 14,000 deaths or serious injuries over the life of London’s road safety plan to 2020. Compared to 2013, KSIs in 2014 were down seven per cent – meaning that London has now met the Mayor’s previous target of a 40 per cent reduction in casualties six years early, according to TfL. 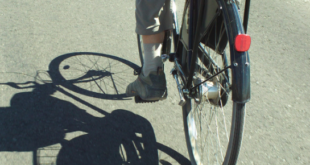 Cyclist KSIs were down 12 per cent "despite huge increases in the number of people cycling". Pedestrians, car occupants and children KSI numbers were also reduced in 2014. Motorcycle fatalities increased in 2014. Improving freight safety with the design of safer urban construction vehicles, reducing deadly blind-spots and improving drivers’ direct vision to give maximum visibility of vulnerable road users. Earlier this year around a dozen vehicles with hugely reduced blind-spots were exhibited in London and are now being trialled by a range of companies. Despite the positives, TfL admitted there are "continuing areas of concern", particularly the fact that of the 13 cyclist fatalities in 2014, five involved HGVs or commercial vehicles and all six to date in 2015 have also involved this type of vehicle. To help address this, a new campaign will be launched this summer to reiterate the warning for both drivers and cyclists of the risks of blind spots around large vehicles. TfL and London boroughs will be introducing the Safer Lorry Scheme from 1 September 2015, which will require all lorries entering the Capital to be fitted with basic safety equipment including sideguards and mirrors. Research is being undertaken by TfL to understand the long term trends, it added. "These figures show quite clearly that road safety in the Capital continues to head in the right direction," said the Mayor. "However, with a growing population and more people on our roads, we’ll have to pull out all the stops to ensure that such positive trends continue. Today, we’re setting a new target to halve the number of people killed or seriously injured on London’s roads by 2020. This will help to guide all of the hard work that TfL and its partners are carrying out to make our roads as safe as possible. It is an ambitious target, but I believe it is one that we can achieve." Cllr Julian Bell, Chair of London Councils’ Transport and Environment Committee, said: “We welcome the news of this significant decrease in the number of people killed and seriously injured on London’s roads and the Mayor’s decision to set an even more ambitious target for reducing this number further. “Boroughs are playing a key role in improving road safety – such as with the implementation of the Safer Lorry Scheme – and are determined to do whatever it takes to make London a safer place for all road users." Steve Gooding, Director of the RAC Foundation, said: “Keeping people safe on our roads is one of the most important responsibilities local government has. Each death and injury brings with it significant human and economic costs and it is pleasing to see the Capital taking the lead in reducing these. “Targets for casualty reduction help focus people’s minds on what needs to be done and in London the goals are backed by a concrete action plan. The marked fall in casualties in the Capital is in large part a result of the effort TfL and the boroughs have put in working across organisational boundaries, and that must continue in order to achieve further reductions.